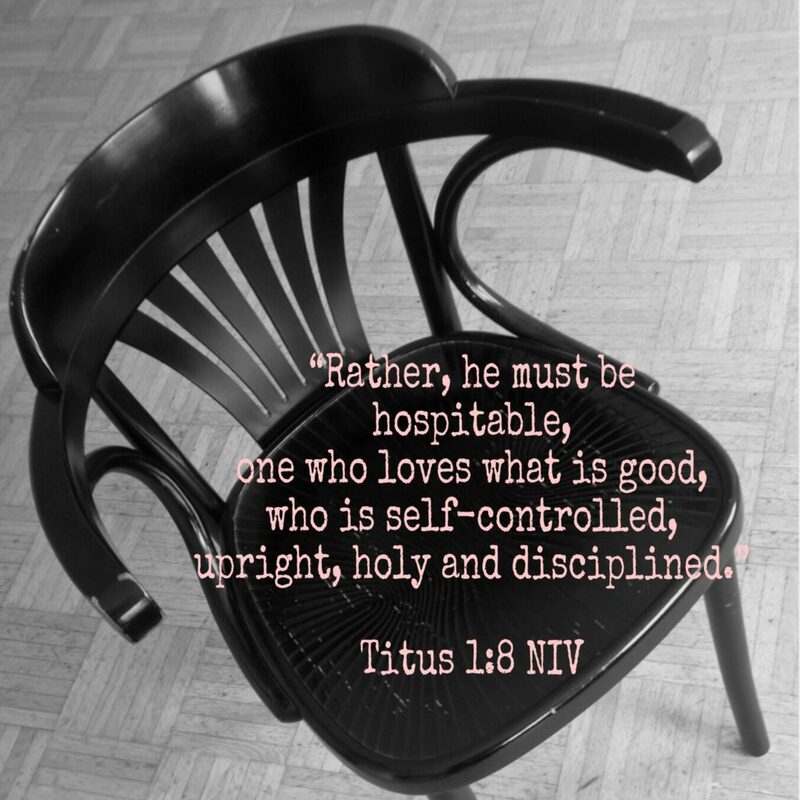 We love to think about inviting people over for meals and being hospitable. But how often do we really do it? I can only answer for myself and not you. 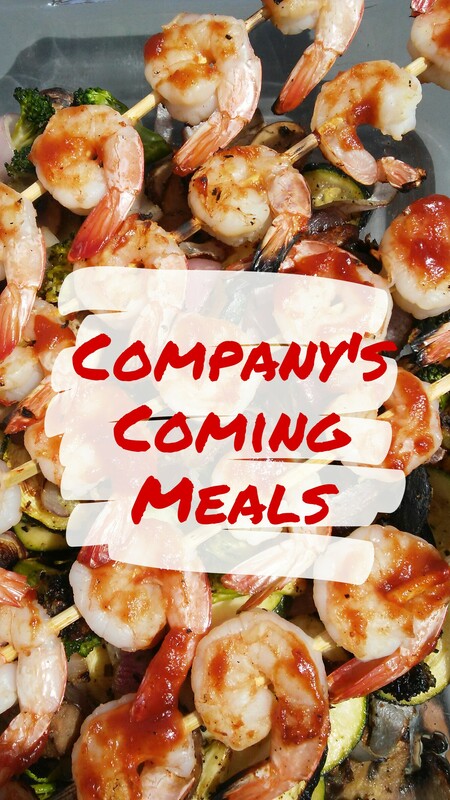 Company’s Coming Meals will hopefully motivate you to invite others over and give you some new meal ideas. 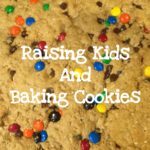 I used to invite others over a lot more than I do now, and my life was even busier with my kids being little. Truth Alert! I got tired of feeling like I was the only one to invite others over. Not like I expected to be invited back, but it was always talk from others and no action. The people we truly became friends with invited us over and we got to know them better. Keep in mind that may not happen all the time. One day I had enough. Instead of making it my goal to have someone over for a meal once a month or 10x/year, I would just let it happen like everyone else. “Oh, we should have you over or we should have them over.” It never happened. You see the difference in the past was it was my goal at the beginning of the month to sit down and decide who we should have over in order to get to know a little better. We would plan some dates that worked for us, call and set up a date for them to come over and it was a go. Most people are a little shocked you are inviting them over, but they go with the flow and a few times we had to schedule it one month ahead because they were so busy. This is only the first hurdle for some. The next is what do I make for them to eat? The key is easy and delish. If this is your primary excuse, then just order Papa Murphy’s pizza and make a salad to start getting into the habit of inviting others over. Better yet, invite them over for dessert. It is all about the hospitality and not about making a gourmet meal. The goal is relationship building and the meal is the bonus. I even invited a young married couple over and taught her how to make soup, as we made it together. My mother in law is the master at inviting people over and making it easy. She picks up take and bake pizza, has her hubby cook or gets chicken from the deli and makes a few sides. 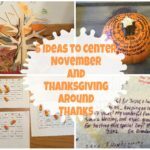 Last month she made a bunch of salads and served them. My mom would have company over at least once a month after church on Sundays. She usually threw a roast with potatoes and carrots in the oven or chicken and rice and it was ready after church. We even had leftovers. Crockpots work great for company too. Easy summer meal for having company over with many variations. Marinated Grilled Chicken Tenderloins. Recipe at bottom. Grill these an hour ahead and put in a crockpot or grill while your company is there and visit by the grill. 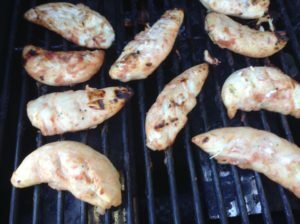 I like tenderloins because they grill quickly and they retain the flavor from the marinade better than a breast. 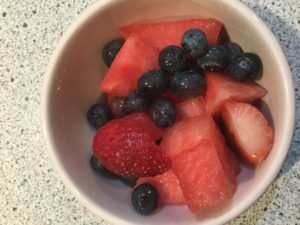 Serve this with Fruit Salad or a small slice of watermelon. Use fruit in season. Two to four fruits mixed together such as pineapple, grapes, strawberries, kiwi, watermelon, blueberries or cantaloupe. Cut ahead and refrigerate. Spinach or Kale salad or 5 min coleslaw in a bowl . The spinach and kale salad recipes are in a past blog and I will share the 5 minute coleslaw in a bowl at the bottom. This is the only coleslaw my kids will eat. Yes it has sugar in the dressing, but I got them to eat it when they were little. You could also serve cheese pierogis. These are pasta with cheesy mashed potatoes in the middle. Buy the frozen ones at Walmart (Mrs. Dells) and boil and serve immediately. 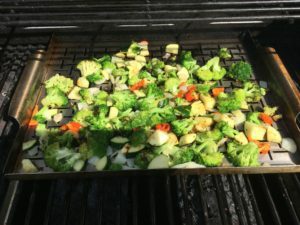 And finally you can serve grilled veggies from my grilled vegetable post. For dessert I like to make it easy so I just serve ice cream or brownies Do the easiest thing for you. I do dessert because its a treat to have people over. Just serve small portions. 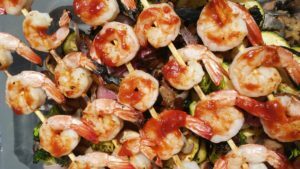 Another idea is Shrimp Kabobs brushed with the same marinade recipe used for chicken tenderloins. Grill veggies with chicken or shrimp and include fruit salad, coleslaw and brownies that are all made ahead. 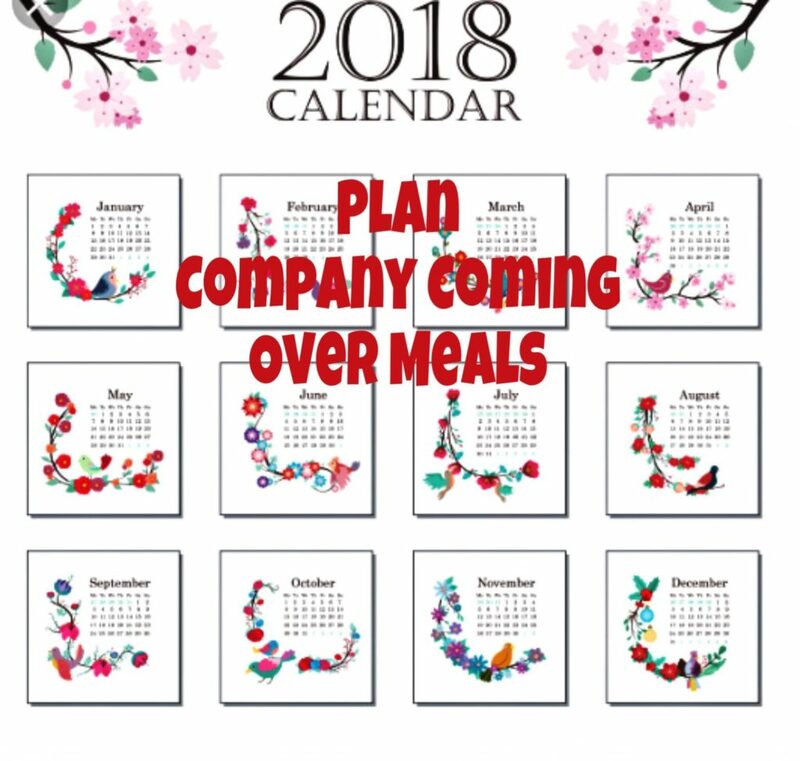 Company invites: Make it your goal to invite at the beginning of each month. 2. 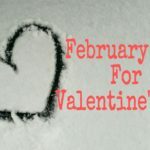 Pick out dates you are available. 3. Call them and have them decide when. Ask if they have food allergies. If they offer to bring something, dessert is always good.Or I tell them they can have the night off from cooking. If you are the guest and offer to bring something, don’t offer unless you want to and don’t forget to bring the item. 4. Confirm a few days ahead, because I have had some cancel, get called into work or just forget. Truth- I had a no show. 5. Prep as much as you can the night or day before. 6. Enlist your family to help you. 7. Relax and enjoy the company. It’s not about your house or the food. It’s about developing relationships and making friends. 8. Make it as easy as you can or you have time for. If you make enough food and have leftovers you won’t have to cook another meal. 9. If you are more random about your invites, make sure you do it and don’t just talk about it. 10. If it’s too scary to invite a couple and/or a family over, then invite a larger group and have each of them bring a side dish to go with your main dish. I find this harder for me to connect with others because I am busier in the kitchen when all the company is over. I need to get out the calendar and start the invite process again. One of the other reasons I quit was that all the people I got to know and became friends with moved away. It seemed that if I had you over, you would move away. I got a little discouraged and needed to pause. Now because I quit, I don’t have as many friends, so I need to start up this process and hope I can influence others to invite company over. Note: I tried to be spontaneous this summer and invited some people over the night before and both families were busy. 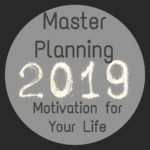 Planning is better for me. 2-3 pounds of Tenderloins. 2-4 per person. 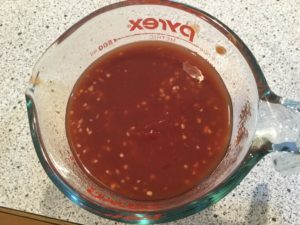 Mix ¾ cup red wine vinegar with 1 jar of chili sauce and 2 tsp of minced garlic. 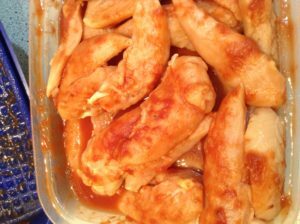 Or if you are watching sugar intake- ¾ cup red wine vinegar, 1 cup tomato sauce/puree and 3 tsp chili powder and 2 tsp minced garlic. Reserve ¼ of the marinade and pour the rest on top of the meat in a container. Keep in refrigerator to marinate 12-24 hours before grilling. When grilling dump off old marinade and baste on grill with the reserved marinade. Brush on reserved marinade while cooking. 1 package coleslaw mix/shredded cabbage with carrots or cut up own cabbage. 1 package beef flavored Ramon noodles crushed. Take half the flavor packet and mix with dressing. Mix dressing and Pour dressing on salad. Close lid of bowl and shake and serve. 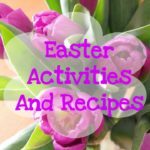 If you have any summer company coming meal ideas, please comment on the blog. I just had guests on my birthday on Monday. I made a big green salad and hobo dinners in the oven since I don’t have a grill. They brought cake and ice cream. Easy! My aunt and uncle were over for dinner on Wednesday …and I made Salmon. Put butter or olive oil and salt and pepper on your salmon. Put it on a cookie sheet and put it into a cold oven and set the temp to 400. Take it out 25 minutes later. Perfect. Costco has good fresh salmon. I made rice from a Trader Jo mix and microved fresh green beans and assembled a sweet Kale salad. All easy to do. I could do this after church! 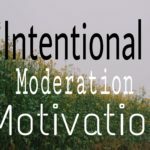 Keep inviting…it keeps my house clean because I am motivated to vacuum and dust! I love this Anna! You’ve given me the boost I needed to make this a habit! Thanks. Just do it and set a goal is what we need to tell ourselves and then enjoy.